Over the years of watching golf tournaments on TV, I’ve seen the Met Life blimp hovering over golf courses all over the country. It turns out that there are only two air ship companies responsible for all the blimps you’ve seen in the skies over the USA in the last 25+ years. One company manages the Goodyear blimps and AirSign Airship Group handles all of the rest. On Thursday, Megan Edwards and I took a short flight on the same airship that I’ve probably seen a dozen or more times – although this time it was sporting a wrap depicting a brand new ship managed by Carnival Cruise Line. The artwork on the blimp shows the design of a brand new ocean cruiser ship known as the Carnival Panorama. What is particularly clever about wrap is that mast of the ship fits onto the tail of the airship, which can be seen in the photo above. A few years ago, a local Las Vegas hotel, (the M Resort) had a blimp that featured a live LCD screen. Scroll to the bottom of this page to see other clever wraps covering the airship’s skin. The current name of the 120-foot airship, in keeping with the goals of the sponsoring company is the ChooseFun Airship. Upon arrival at the North Las Vegas airport we drove in a short vehicle caravan past the hangers and out the airship docking port on the northern edge of the airport. To launch and recover an airship requires a ground crew of ten handlers plus a flight chief and pilot. The Flight chief on our flight was Terry and he’s been flying and managing different airships for more than thirty-five years. 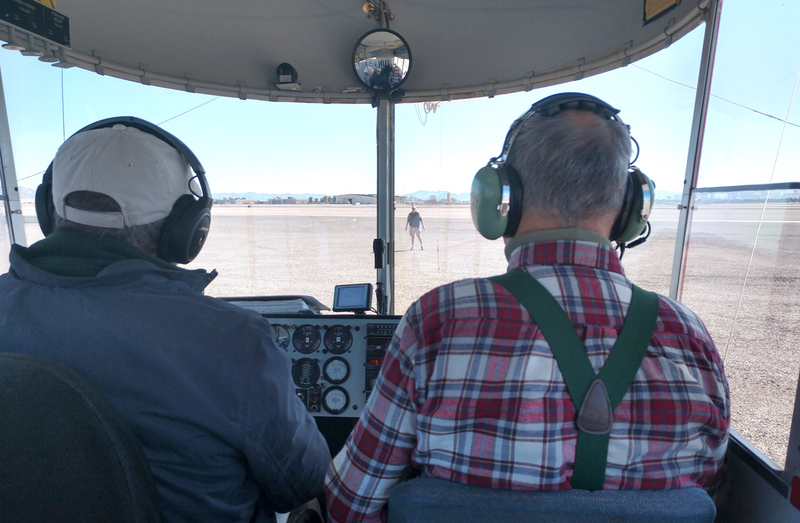 Our airship pilot, Steve, has been flying airships for nearly thirty-nine years. Both men started their lighter-than-air aviation career as hot air balloon pilots. What I was struck by was how smooth and purposeful the flight was. It was a gorgeous day with light and variable wind. The variable wind made taking off and landing a bit of a guessing game, but the crew was skilled and conscientious and Megan and I found all aspects of the short trip fun and thrilling. 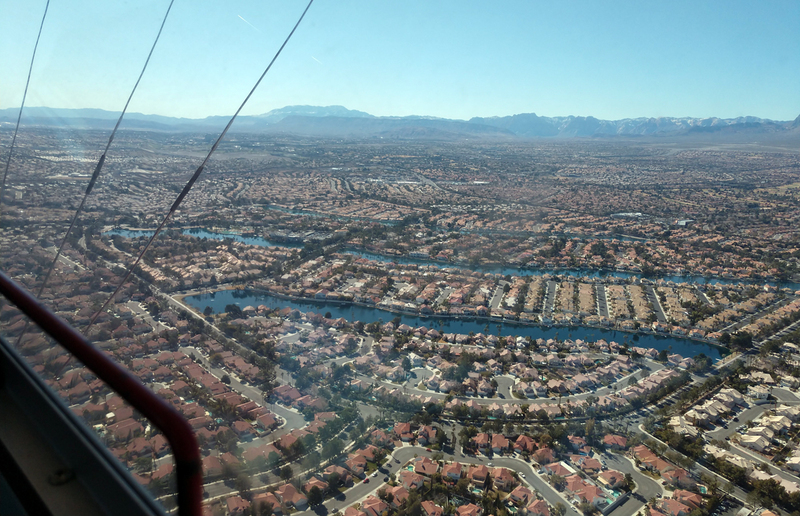 We departed to the NW of the airport pattern and looped back towards Red Rock Canyon before turning again for a direct flight to the airship landing area. The Carnival Panorama will debut with a special three-day inaugural cruise from Long Beach on Dec. 11, 2019. The principal route of this new ship will be the seven-day Mexican Riviera sailings between Long Beach, California and Puerto Vallarta, Mexico. For more information about Carnival, click here. Wow ! That looked like a great experience and a lot of fun. Yes, it was pretty cool.